A wireless flash drive with built in media server? Yes, Wearable, a company that designs, engineers, and manufactures wearable smart devices has come up with Airstash wireless flash drive. 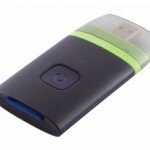 Airstash is a small device and has a USB port on one end and an SD/SDHC card slot on the other. Once a card is inserted, users can fill the card with media from their desktop or laptop PCs, and then use the AirStash’s built-in Wi-Fi media server to access the content from any Wi-Fi-capable device with a web browser. The device has a browser-based interface and has been optimized for the iPhone, iPod touch, and the iPad using HTML5, allowing Apple’s mobile devices to play and/or access any document, photo, audio, or video format supported by the iPhone OS. 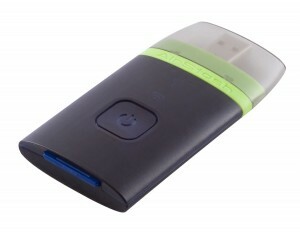 It is said to be aimed at an external memory wireless drive for the iPad. The AirStash is being sold for $100.